Four instrumental works by Carleton Macy for solo piano, piano and two flutes, and piano duo that challenges the listener to "find" the harmonic shapes of earlier works by Bach, Wolf, Chopin, Webern, Dallapiccola, Schubert, and others. Diverse styles influence these four appealing, yet thoroughly modern works, including "reflections" of jazz, pop, world music, and contemporary classics. Macy's music presents a strong, coherent, and deeply personal new musical voice. The album contains four remarkable pieces, all enjoyable on different levels... As though in a hazy dream, dissembled compositions glide by, daring the listener to identify the original... The result is a postmodern collage that blends genres and mixes tension and beauty. 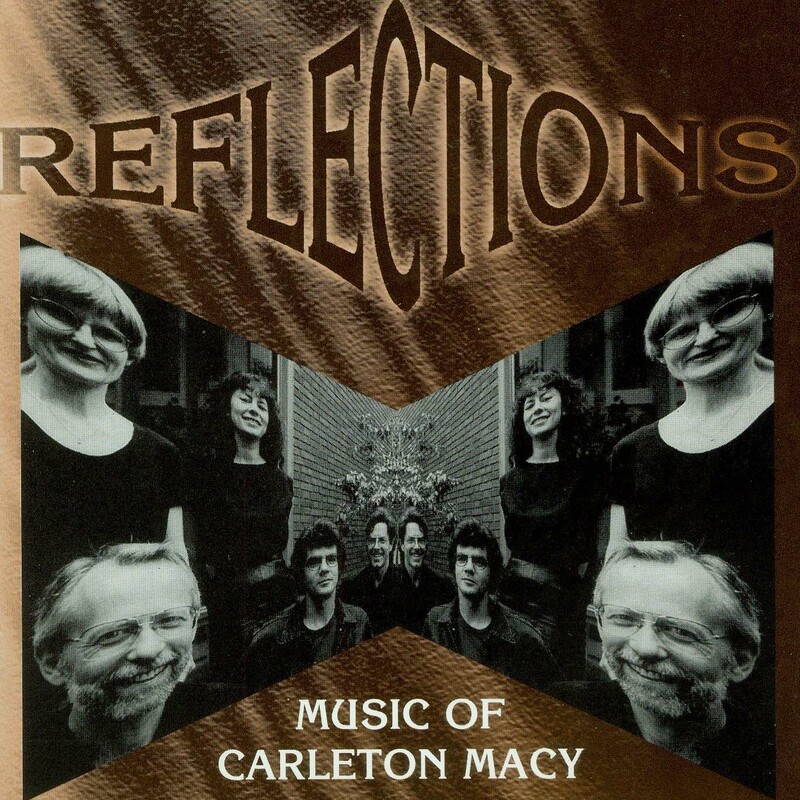 Carleton Macy's music is haunted by the ghosts of earlier music. This is true of many composers, especially today, but Macy has internalized and then re-externalized the past in a more thorough-going fashion than most others. His Reflections, for piano solo, is made of 12 short pieces, each reworking an existing piece, ranging from Bach and Chopin to Webern, Dallapiccola, and Harold Arlen. While derivative in the truest sense (and without the normal negative connotation), these pieces are personal and original statements. The other music on this disc is quite good too, especially Maria Music, a set of tangos inspired by a student of Macy's who referred to all music as some form of 'tango.' These three pieces, in widely contrasting styles and moods, yet all clearly tangos, make a strong case for the truth of the student's observation. This is a well-played and enjoyable disc.